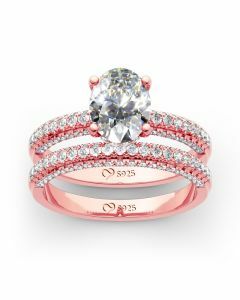 A brilliant celebration of your love, this sparkling bridal set symbolizes your unforgettable moments. 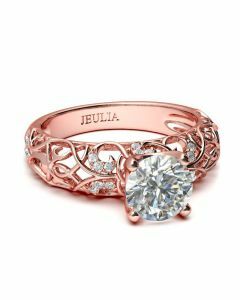 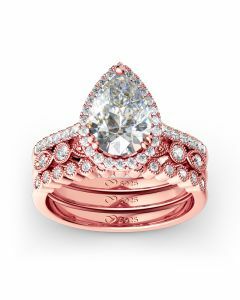 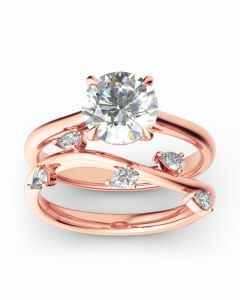 Designed in rose gold color, the ring shimmers with a sparkling round cut center stone. 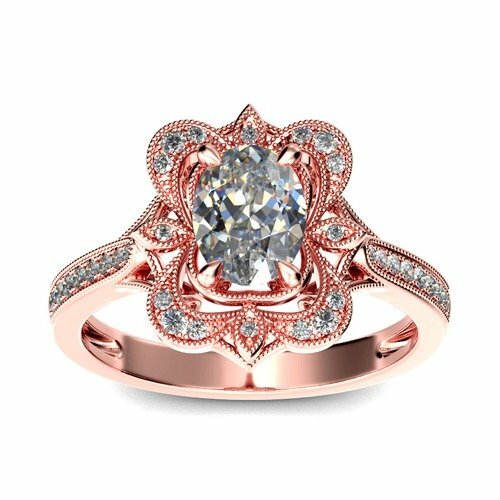 Along the shank, white and black stones create a bold and shimmering look. 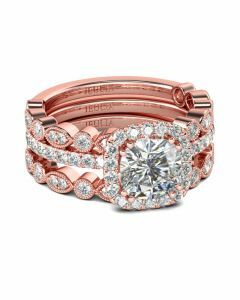 On your wedding day, a coordinating band of sparkling round stones seals your vows. 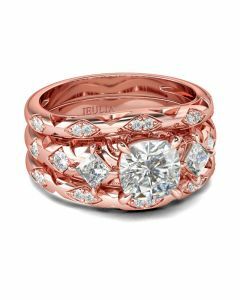 This bridal set expresses your commitment with heirloom style.